A feeling of love can be expressed in the best way with some beautiful roses. 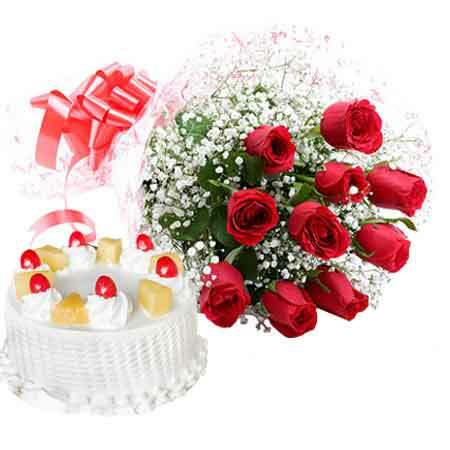 Gift online this lovely combo of 10 fresh and beautiful red Roses packed in pink cellophane bunch and a savory half kg round shape cake in pineapple flavor. This will be a wonderful gift on all merry making occasions.